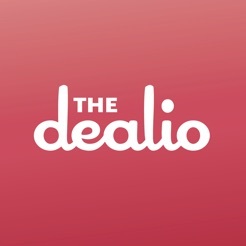 The Dealio is an app that was started to help make the daily question of “what should I eat” just a little easier. We like to eat out, we like a variety and, most importantly, we like a good deal. Currently the only cities we target are Rexburg, Idaho Falls, Logan and some surrounding areas. The indecisive eaters. If it takes you and your co-workers 30 minutes to decide where to eat that day this could be a great productivity booster for your company. The adventurous eaters. 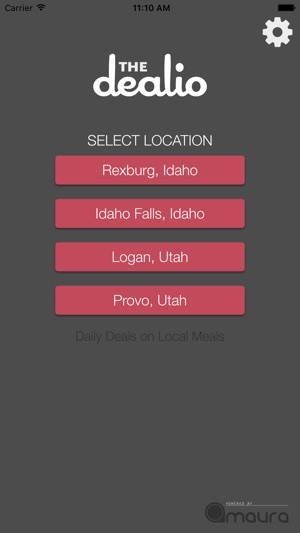 South East Idaho has hundreds of restaurants. Each one has something they do especially well. The “that’s a pretty good deal” eaters. Always eating the same $.79 pastry for lunch to save a buck can wear on you. Treat yourself to something new, and know you’re getting a bargain. 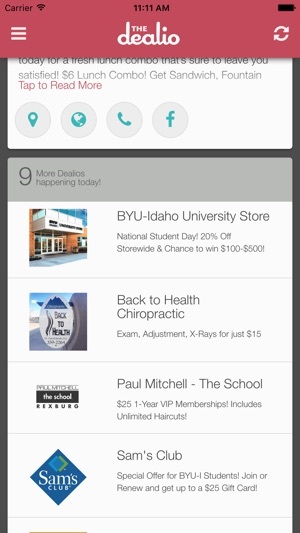 As Logan and Provo come online, we are giving users more control over the push notifications they receive. You can choose which city you want, or none at all. It's simple and has different deals every day! Very easy to use. There aren't many deals from Groupon or similar deal apps in my area so it was kind of a breath of fresh air to finally see some around me. It's simple and organized too. 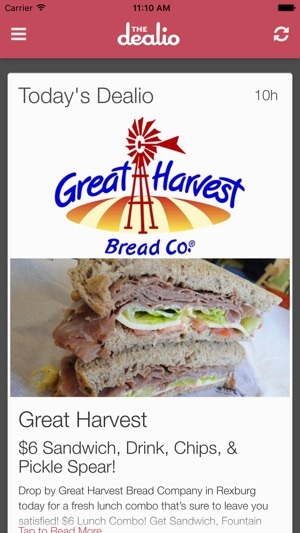 If you like deals and saving money this is the app for you. Get a new local deal every day!